The new Village Law with a set of new regulations has been passed by the Indonesian House of Representative. It must improve the welfare of people in approximately 75.000 villages. One of the components in this law is the development of websites at village level. Seefar is supporting this movement with funding from DFAT and has started with a project together with two partners, Combine and DPO Persani. The project is called “Village Websites for Everyone” and has two components. 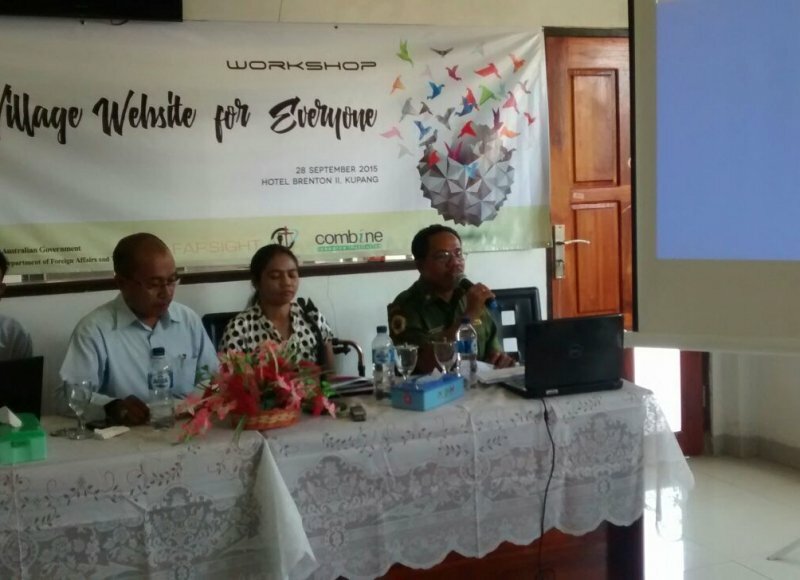 The first component is to develop websites in the Kupang district – Seefar’s previous work noted that villages in Kupang have not yet responded to the Village Law and do not have websites. As Kupang is one of the poorest areas in Indonesia, just building websites is not enough. The project monitoring and evaluation framework therefore includes an interest in the broader impact on the community, which means improving the capacity of people with disabilities to lead the website development process. Seefar and partners will deliver training, workshops and mentoring to support skills in website development and maintenance. An indirect aim of this project is to reduce the social exclusion of people with disabilities, by improving acceptance based on participants’ leadership and demonstration of valuable skills. Participants in the project will continue maintaining the village websites following project completion, and Seefar will monitor medium-term results in terms of their employment.